Old Dominion Freight Line announced fourth-quarter and full-year results, reporting net income of $197.2 million, or $2.40 earnings per share, up from $68.5 million, or 83 cents, in the fourth quarter of 2016. The less-than-truckload carrier reported a $104.9 million tax benefit from the Tax Cuts and Jobs Act, which is included in fourth-quarter and annual results. In the fourth quarter, without the tax benefit, Old Dominion’s net income was $92.3 million, compared with the $92.1 million expected by analysts surveyed by Bloomberg News. Revenues were $891.1 million, topping the $874.1 million expected by analysts, and up nearly 20% from $745.7 million a year ago. Thomasville, N.C.-based Old Dominion reported its LTL tonnage per day was 35,661, a 14.4% rise from a year ago, and it recorded 2,696 LTL shipments in the quarter, up 11.4% from a year ago. The operating ratio was 83.9% compared with 84.8%. 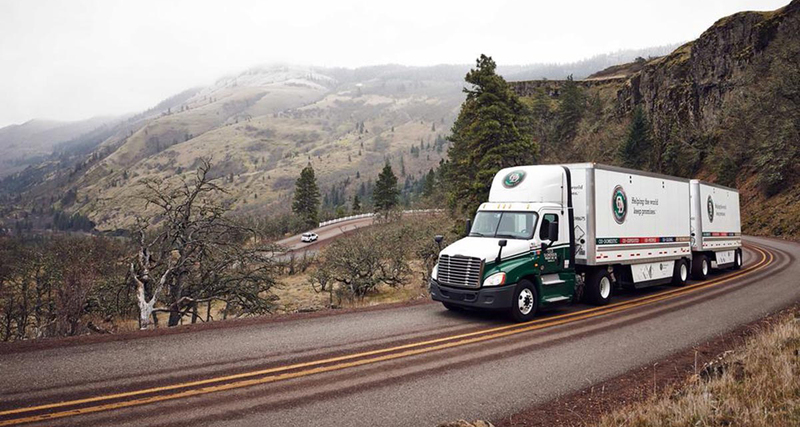 “We believe that this growth was the result of continued strength in the domestic economy as well as our ability to win market share by providing shippers with network capacity and a value proposition that includes superior service at a fair price,” ODFL CEO David Congdon said. For full year 2017, net income rose 57% to $463.8 million, or $5.63 per share, up from the $4.33 expected by analysts. Revenues for the year were $3.4 billion, up 12.3% from 2016, and up from the $3.3 billion expected by analysts. LTL tonnage per day for the year was 33,672, up nearly 8% from 2016, and Old Dominion reported 10,736 LTL shipments in 2017, up about 6%. The operating ratio was 82.9% in 2017 compared with 83.8%. Old Dominion ranks No. 11 on the Transport Topics list of the Top 100 for-hire carriers in North America.